A councillor living 400 miles from his ward has given up part of his allowance after being the only one not to do so in solidarity with staff facing cuts. Donald Adey moved from his ward in Cambridge to Scotland a year ago, but remains on the county and city councils. County council staff had to take three days' leave unpaid and all other councillors made allowance sacrifices. Mr Adey initially failed to do so, but has now reversed his decision. 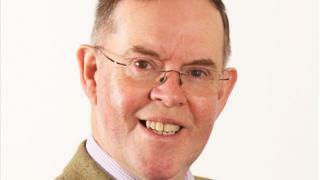 The councillor, who lives in Cupar in Fife and rarely attends council meetings, represents Trumpington as an independent after he quit the Liberal Democrats in 2018. Following a vote in December, 60 of the 61 county councillors agreed to give up 1.2% of their allowance - equivalent to the financial loss suffered by staff. However, Mr Adey declined to do so. He claimed £10,000 a year for his county council role and received £4,500 from the city council. Cambridge City Council has called for rules to remove councillors who live too far away. Earlier this month, a journalist from the Local Democracy Reporting Service in Cambridgeshire travelled to Scotland to speak to Mr Adey about his councillor commitments, after he failed to respond to a number of messages. Mr Adey told the reporter he planned to quit the city council next month because it was "hard to cover both bases". Mr Adey has since agreed to give up part of his allowance, but has maintained there are bigger problems in the local government system. Mr Adey said: "The root of the problem with local government finance, the extreme lack of it, is both in Cambridgeshire the cut, cut mentality of the Tories - even before [former Prime Minister] Margaret Thatcher came to power - and in more recent years, self-imposed austerity from national government. "Forcing staff on to unpaid leave is no sustainable answer… more an act of desperation."